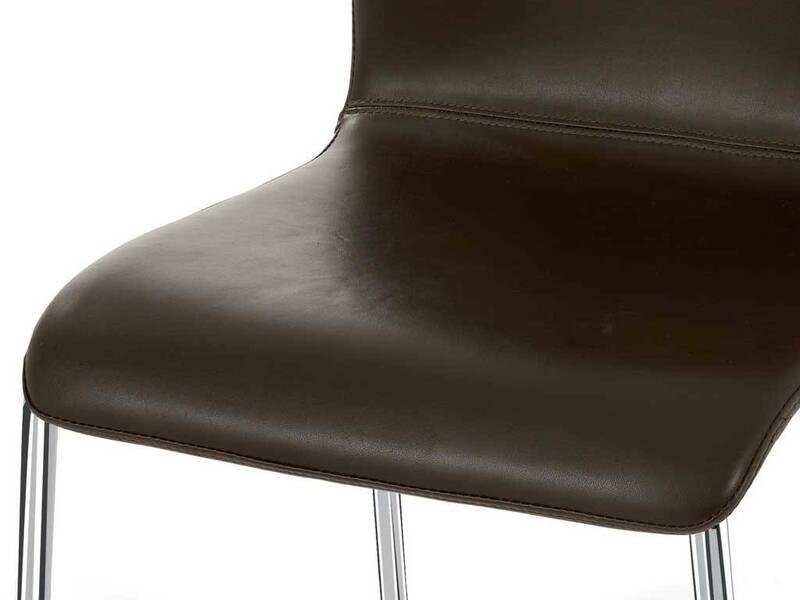 Covered in genuine leather or bonded leather. 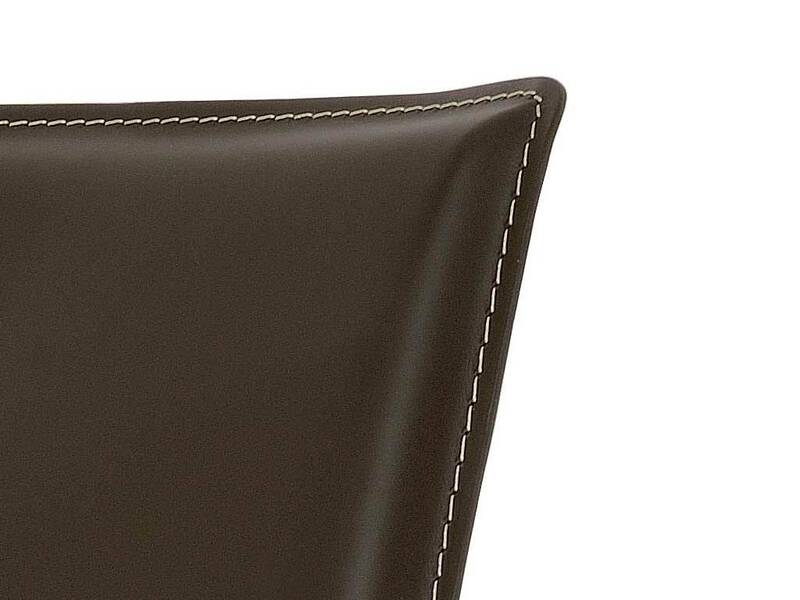 Bonded leather is an ecological material resulting from genuine leather cuttings mixed with special resign and fat. 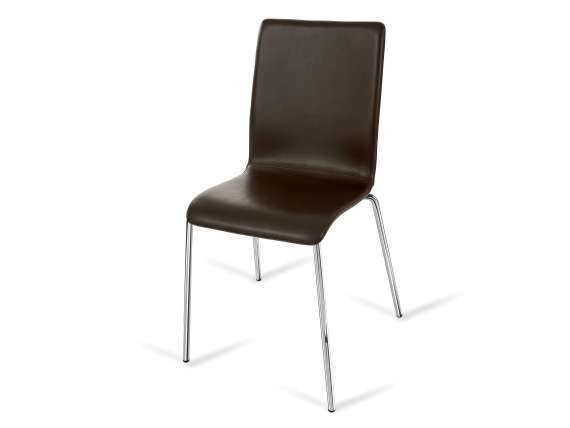 It's a low-cost and versatile material, ideal to realize seats and chairs. 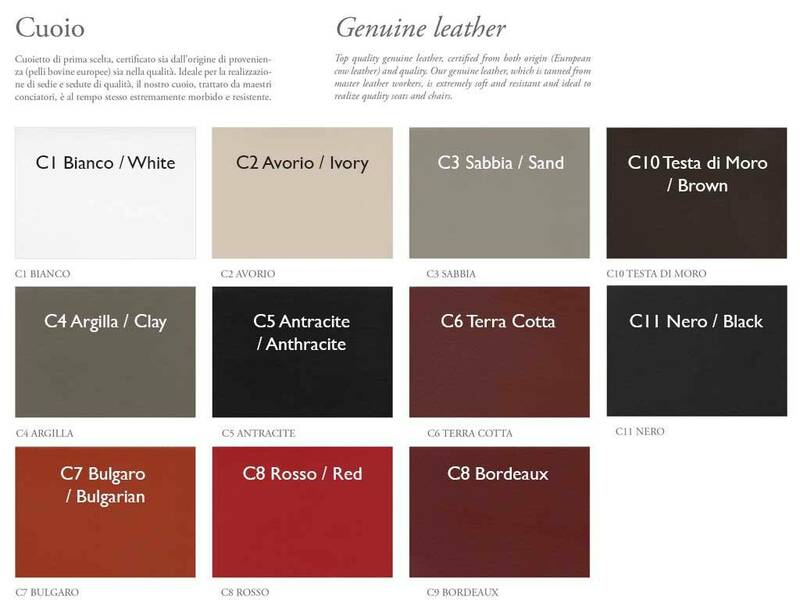 Top quality genuine leather, certified from both origin (European cow leather) and quality. 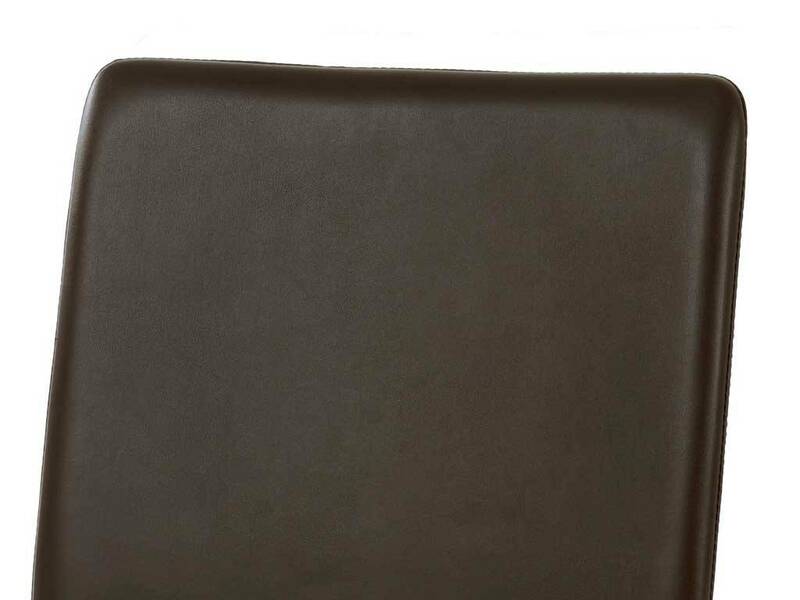 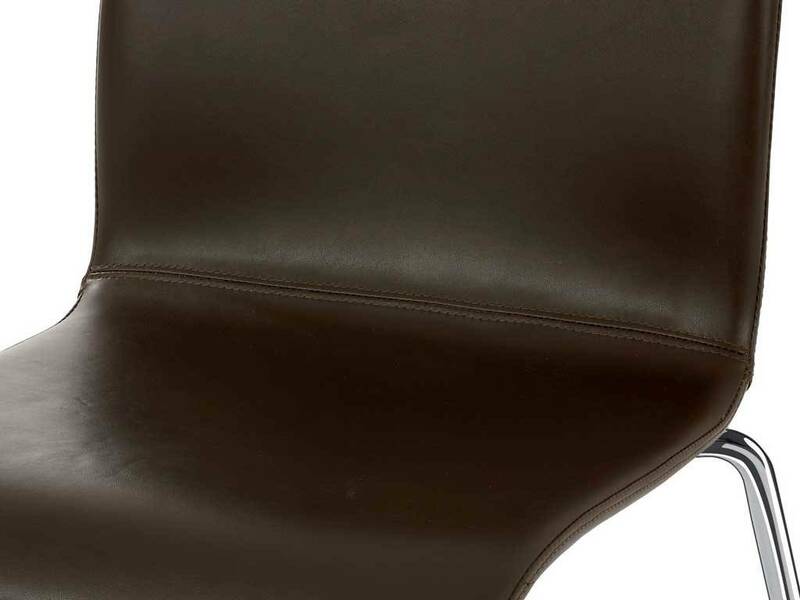 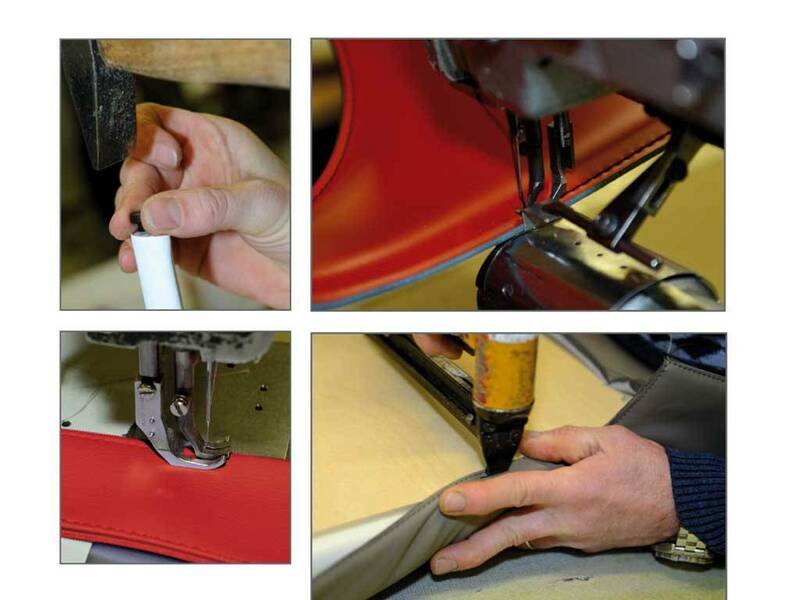 Our genuine leather, tanned by master leather workers, is extremely soft and resistant at the same time, and ideal to realize quality seats and chairs.